I had my new YI Action Camera in one of those strap bags on my back today at Maker Faire Detroit and must have bumped into something. 😦 Hopefully it’s not too expensive for a new screen and easy to replace. 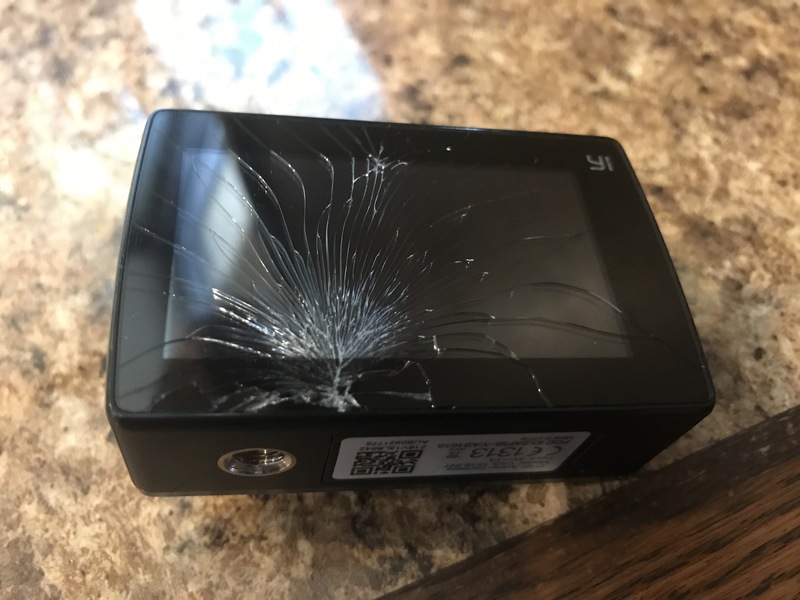 Update: Roughly $70 for a like-new replacement screen on eBay. Apparently it’s pretty easy to replace.